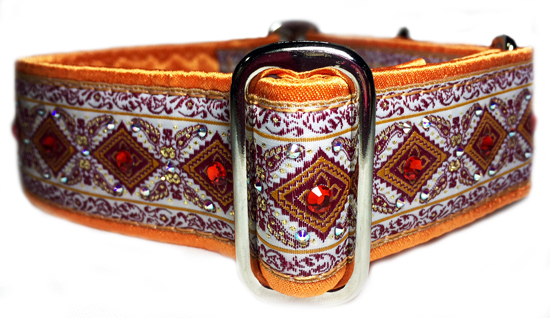 Divine Sparkle Genuine Swarovski crystals in both Aurora Borealis and orange Hyacinth sparkle against a jacquard ribbon that is first completely wrapped in orange cuddle satin. 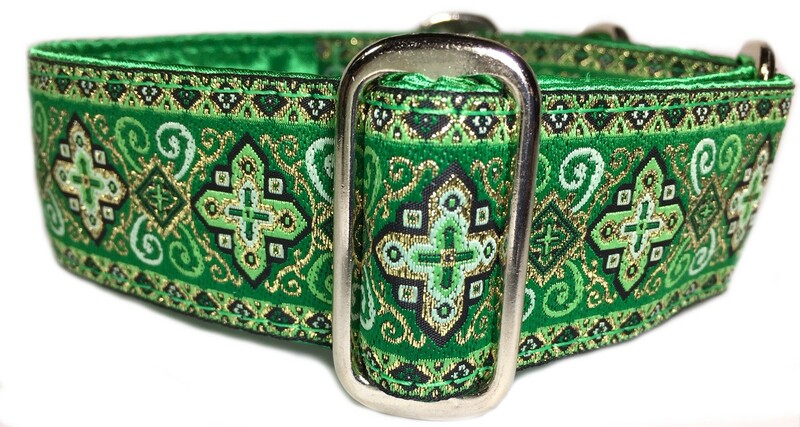 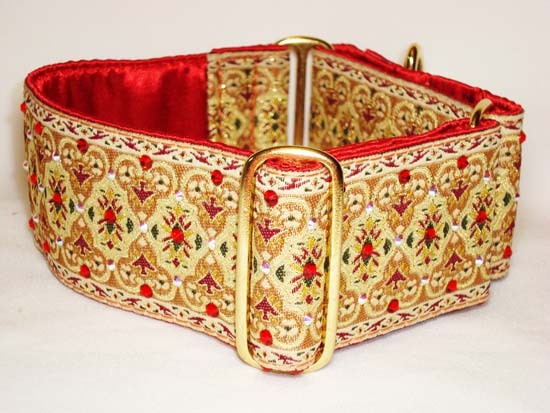 Available as a 1.5" wide collar. 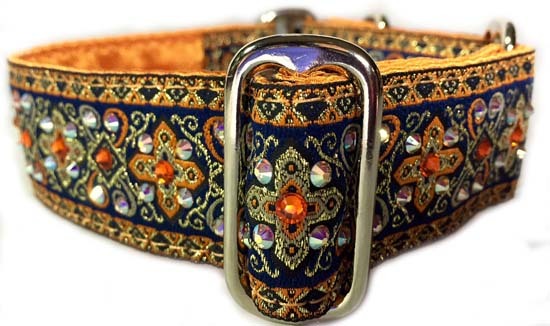 Photo shows the collar put together with nickel hardware.